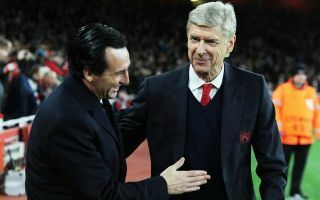 Ex-Arsenal centre-back Martin Keown insists that new boss Unai Emery strives to get more out of his players than Arsene Wenger ever did at the Emirates. The Gunners are just four points behind Premier League leaders Manchester City and Liverpool after an impressive five-match winning run in recent weeks. Emery’s men began the season with back-to-back defeats, but they have bounced back quickly to stake their claim for a place in the top four, most recently beating Watford at the Emirates 2-0 on Saturday. Wenger’s last decade in charge of Arsenal was largely unsuccessful, with some players seemingly content to take it easy on the pitch in the knowledge that Champions League qualification would be enough to keep their huge wages coming in. Emery replaced the Frenchman this summer and has quickly gone about stamping his authority on the squad, as Keown acknowledged in his column for the Daily Mail on Sunday. The former Gunners defender revealed what he believes is the key difference between the Spanish boss and Wenger, as he stated: “One of Arsene Wenger’s 10 commandments was to never bark orders at his players from the sidelines. “His view was that when players had the ball, that was their moment to shine. He did not want to overload them with information. “It is why Unai Emery’s dynamic demeanour — which was in full flow against Watford — will have come as a shock to the Arsenal players. “In the first few weeks of the season, they seemed to be taking their manager’s instructions too literally. Now, they are feeding off his energy. “By being so animated, Emery is showing the desire, passion and work ethic he wants from his players. Arsenal fans will be hoping the team can continue their winning run in the Europa League on Thursday when they take on Qarabag in Azerbaijan. After that, Emery will prepare his squad for another Premier League fixture against Fulham on Sunday, where they will be expected to pick up another three points in their bid to climb even further up the table.